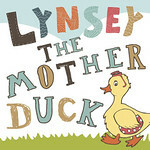 Lynsey The Mother Duck: We. Were. There. I remember where I was when I got a text saying that we had won the bid to host the 2012 Summer Olympics (for the record Burger King...). Cool, I thought. I did not give it much more consideration than that with it being years away. However, having been lucky enough to go to the Commonwealth Games in 2002 when they were held in Manchester, I did want to try and purchase tickets when they went on sale. I have the most fantastic memories of our experience at the Commonwealths. The atmosphere; the stadium; the communal areas set up with big screens; the friendliness of visitors, staff and volunteers. Alas, like the majority of the rest of Britain, it seemed, I was not successful in a ticket bid. As the momentum for the Olympics started to build, I watched more programmes and read more literature on this mammoth event. The desire to attend grew. I wanted to be part of 2012. Then the adverts on Channel 4 started to catch my eye for the Paralympics. Of course my interest in this was heightened more than ever being a mum to a severely disabled little boy. I was glued to the TV for the Olympics period, but I wanted to actually be there for the Paralympics. I was moved and inspired by the adverts alone and knew to attend the live event would be out of this world. At the same time the whole country had been romanced by the Olympics and had started to open their eyes to the fact that it wasn't all about to come to an end. A new wave of amazing Athletes were starting their bid to make history. We managed to secure tickets for Wednesday 5 September 2012. Our session was for the evening Athletics in the Stadium. However our tickets allowed us entry into the park all day. I wanted to make the most of it so set out an action plan for my husband and I. It was exciting for two reasons; the first it was the Paralympics of course. The second; it was a rare day out on our own. We set off with the weather beautiful and a spring in our step. First stop was Tower Hill to get a photograph with the Bridge in the background. We had done this when we spent a day in the London atmosphere whilst the Olympics were going on and the Olympic Rings were hanging off of it - naturally I needed a matching photo! Then we strolled across the walkway, with hundreds of other excited attendees and through the 'airport style' security system. As had been reported throughout the events all the staff and volunteers, police and armed forces were jovial and friendly. There was so much to see and do in the Park the time flew by. Before we knew it the announcements were being made that the gates for Stadium ticket holders were open. We made our way over early which gave us good opportunity to get lots of cool photos of inside the Athletics Arena. Our first race was a real treat, both Oscar Pistorious and Jonnie Peacock featured. This was followed by lots of amazing finals and medal ceremonies, which all brought a tear to the eye. The Ladies 100m for Visually Impaired athletes was a Brazilian one, two, three and their delight brought a cheer as big as if it was a British trio on the Podium. We also experienced something very unusual. The Mens 4 x 100m Relay for Visually Impaired athletes requires that the crowd is completely silent until the baton is handed over to the fourth participant. They are relying on hearing the correct sound signals to make their race work. Asking a crowd of 80,000 to contain their excitement for a relay race is a big task. And it was the most surreal thing to do. It just felt wrong, even though it was right! The cheer after the last baton handover blew the roof off of the Stadium and made the wait worth it. It was truly amazing to be part of London 2012. The Paralympics in particular lived up to the expectation it teased with beforehand. We really did see 'Superhumans' in action. We really did see determination, focus and courage. We really did see human kindness, peace and harmony. Even if you are not a fan of sport, if you are a fan of any of those things you would have enjoyed this summer. For us, as parents of a little boy with severe physical disabilities we saw the unexpected and the amazing. We saw nothing short of miraculous achievements. We saw disability slipping away and being replaced with sheer ability. We saw HOPE. Great post. Sounds like you both had a fabulous time. The relay race sounded really cool especially when the roof raised -blew off - for the final runners. Great pictures and post, sounds like you had an amazing day. I feel so lucky that I got to witness and be part of all this - it was truly spectacular. You've got some amazing shots and it sounds like you had wonderful Olympic experience. I had to say, I so pleased that it went well. The Olympics has truly touched the lives of many people for the better. I LOVE LONDON.